In this today's modern era, IBM Notes and Microsoft Outlook are the most widely used email clients by the enterprises to improve their business and exchange of information globally. However, due to some reasons and variations in technology, organizations are migrating from Lotus Notes to MS Outlook. Lotus Notes stores all its mailbox data like emails, schedule, calendars, etc., in NSF file format. On the other hand, Microsoft Outlook uses PST file format to store the mailbox data. Therefore, to open NSF file in MS Outlook, a user needs to convert NSF to PST file format. It is because NSF file format is not supported by MS Outlook. Hence, to import Lotus Notes .nsf to Outlook 2013, 2010, 2007 & lower editions, we have discussed both manual and professional solution. One can choose any of them based on his or her choice. Lotus Notes Application Not Available: If a user is having an orphan NSF file, then it becomes very difficult to open it without having Lotus Notes application installed on the system. Change in Email Client Platform: If an organization switches from IBM Notes to MS Outlook due to any reason, then to access the old emails, one needs to convert lotus Notes .nsf to PST format. Easy Data Migration: Microsoft Outlook is more user-friendly and offers an easy exchange of information through emails compared to Lotus Notes. Highly Expensive: As Lotus Notes provides very high level of security to its users, so it is quite expensive for use. Moreover, its maintenance cost is also very high due to which users want to migrate from Lotus Notes to MS Outlook. 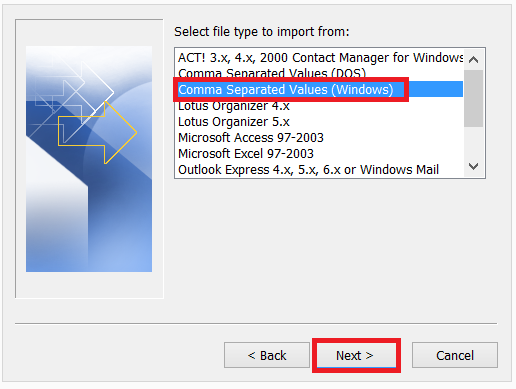 How to Import Lotus Notes .nsf to Outlook Email Client? A user can convert NSF to PST file format with the help of both manual solution and automated solution. Therefore, we have discussed both of them to make it for the user to choose between them wisely. There is no direct method available to export NSF files to PST format. 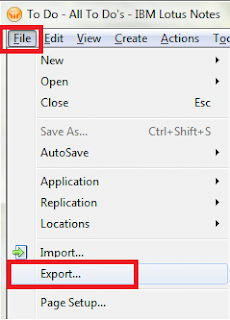 First, a user needs to export NSF emails to a specific location and then import it to MS Outlook application. After following the all above steps, NSF file data is successfully exported to CSV file format. 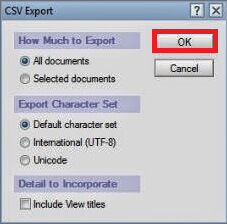 Now, a user needs to import this CSV file into MS Outlook application. After that, click on Next button and wait for the import process to complete successfully. After performing all the above steps carefully, it becomes easy for the user to access Lotus Notes NSF in Outlook application. While importing Lotus Notes NSF to Outlook email client using manual solution, a user might encounter some issues. Therefore, in order to have an effortless and simple solution, a user can switch to a automated tool available, i.e. NSF to PST converter utility. It is one of the best solutions to import, migrate Lotus NSF to Outlook PST in just a few number of clicks. Moreover, it export all data items stored in NSF file to PST format without having data loss. This software is exact solution for the user who’s searching for a solution for how to import Lotus Notes .nsf file to Outlook. Migration from one email application to another has always been a difficult task. Same is the case with Lotus Notes to MS Outlook migration. 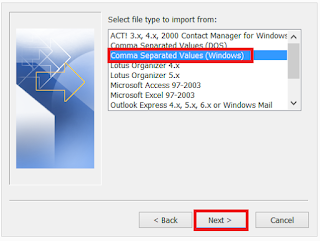 Therefore, in order to have a trouble-free solution, a user is advised to use this software to import Lotus Notes .nsf to Outlook 2013, 2010, 2007, etc. The software has a simple and easy user interface that any one can use it without any expert help.